Most people do suffer from this common phenomenon called the fever blister, commonly known as cold sore blisters. This is a common problem that accompanies or occurs in tandem with a viral infection, or caused by infected herpes. You may not be aware of the fact that you are developing blisters. What could start of as itching or soreness, pretty much like allergies, suddenly takes the form of blisters. They seem like bumps and boils but feel watery and filled with fluid. 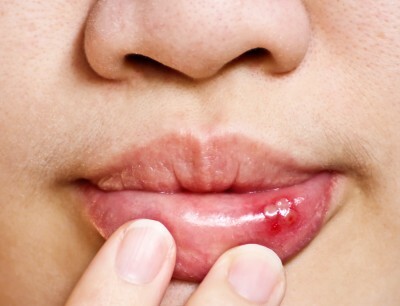 Often these fever blisters appeard on lips, mouth, on the gums, or that face. It is said that often these fever blisters are contagious, but haven’t been proven to the point of being sure. Because it is an evidence of an infection, one is always advised by dentists and medical practitioners to keep your hands clean, or to wash your hands after touching them, even if you have done so accidentally. Often these fever blisters are not just one off case. Even after one is tackled it is just a matter of time before another one springs up. In case the fever blister is extremely painful, one is best advised to go to the dentist. However there are various home remedies that provide relief and comfort from these painful blisters. Get over the counter medications like soothing creams that help moisten the area and provide comfort from the pain and the constant itchiness. Drink plenty of water. This might help to reduce the symptoms a tad bit. The fever blister might be very itchy, but try and avoid picking at it. That can make it all the more painful as well as run the risk of being infected. Try using herbal products for quick relief. Products like tea tree oil, herbal ointments, lemon balm and help reduce the effects of the blister. Sometimes warm compress is also helpful. Though there aren’t any remedy for viral infections, if the pain is beyond bearable, go to your dentist for help and advice. Constant eruption of fever blisters, affect your immune system. It may help to consult the dentist and take vitamins that helps boost the immune system and makes you feel better, and also avoids them from re-occurring.